People who have experience of working in Accounting Department, would know how I feel great doing it. An exceptional handling might have been needed for some customers. But, however, when I understand that "each one of these are the fruits of my colleagues", I will be more passionate working on those , hard and without any mistake. 'Reconciliation' is the another cumbersome work that comes after Billing. I'd like to enforce Reconciliation in Online Banking diligently everyday. 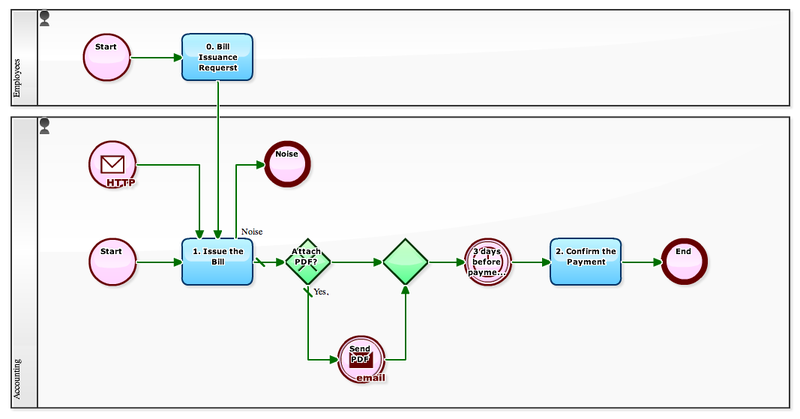 Executives also can grasp 'the Cash Flow' or 'occurrence of payment delay' in real time at any time. But, if the Task [2. 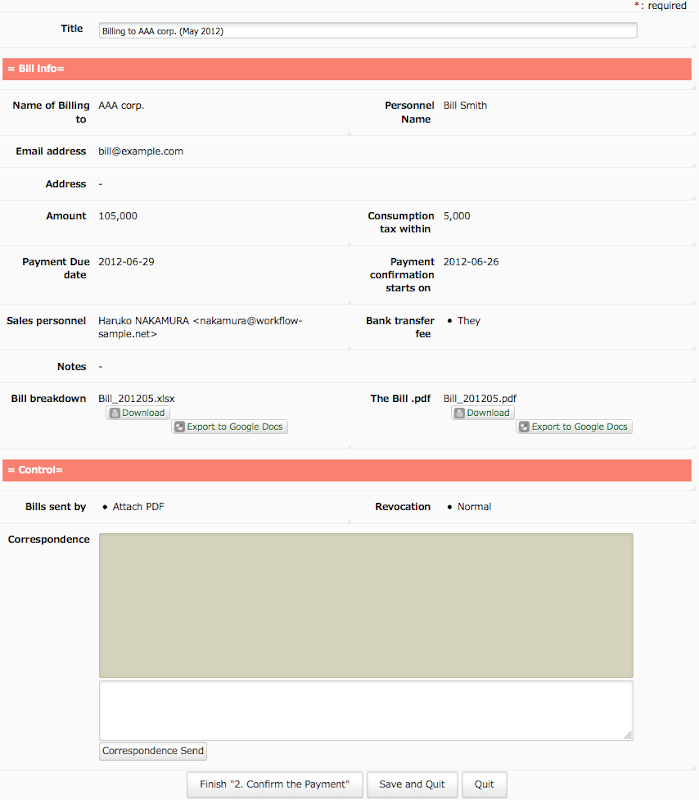 Confirm the Payment] occurs right after finishing the Task [1. Issue the Bill], a lot of unprocessed Tasks will be retained at the Task [2. Confirm the Payment]. It will not be that cumbersome with matters of a hundred or so if you sort them by its deadline date. But when it become more than three hundred, you might feel bit tired. And 90 % of the customers will make their deposit on 'the due date of the payment' or 'one day before it'. 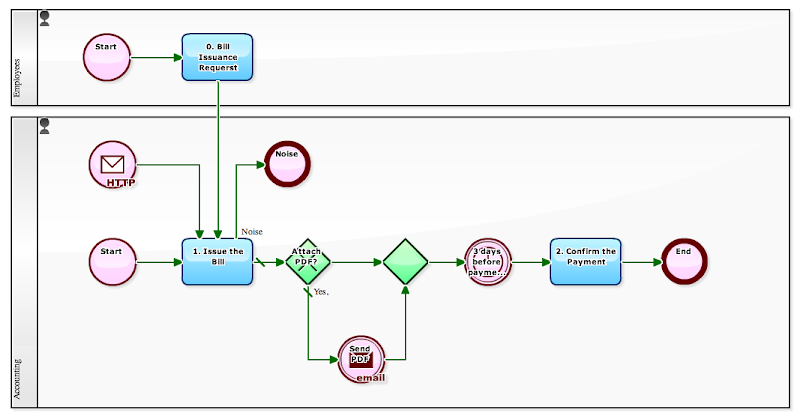 In this Business template (Workflow sample), control by Timer is performed before reaching the Task [2. Confirm the Payment]. That means, the Task [2. Confirm the Payment] will not occur soon after the completion of the Task [1. Issue the Bill]. In this way, displaying numbers of reconciliation will be reduced. 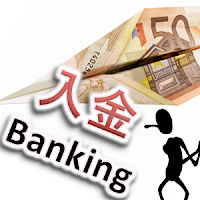 This will help you to quick react against bank transfer from unexpected account name or lump sum on multiple bills.